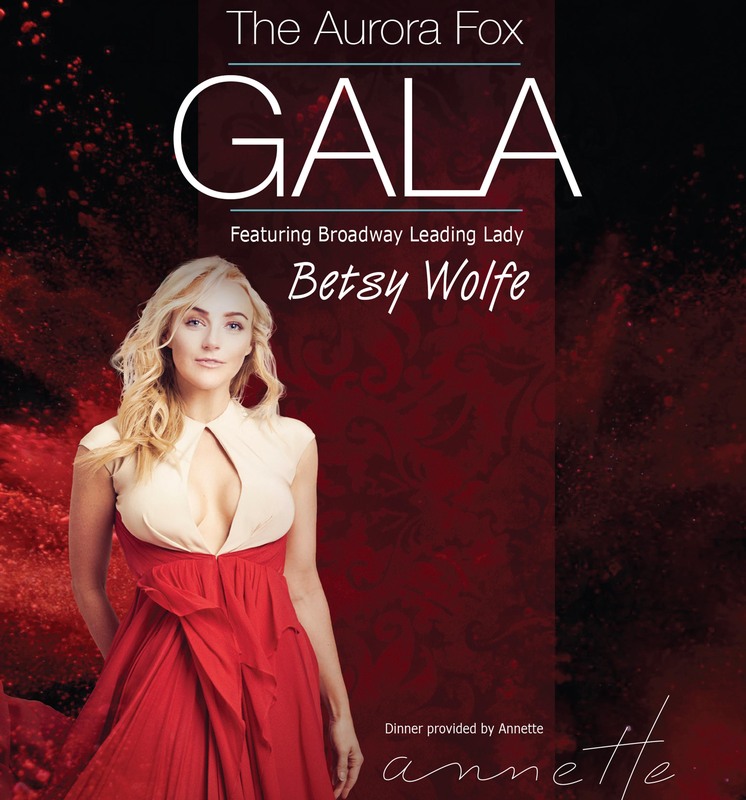 Join us for our annual fundraising gala to support the historic Aurora Fox. Begin with a delicious dinner provided by Chef Caroline Glover of The Stanley Marketplace's Award-Winning restaurant, "Annette," and enjoy local craft beer from Peak 2 Peak, local wine selections, shop the silent auction filled with local treats and luxury items and claim your reserved seat to an exclusive show-stopping performance by Broadway's funniest leading lady, Betsy Wolfe. Plus, be among the first to hear the 2019/2020 season announcement by Executive Producer, Helen R. Murray.